The only way to secure the original types of wools so prized in the ancient traditional carpet arts is to get the wool directly from special flocks and to spin the yarns by hand. 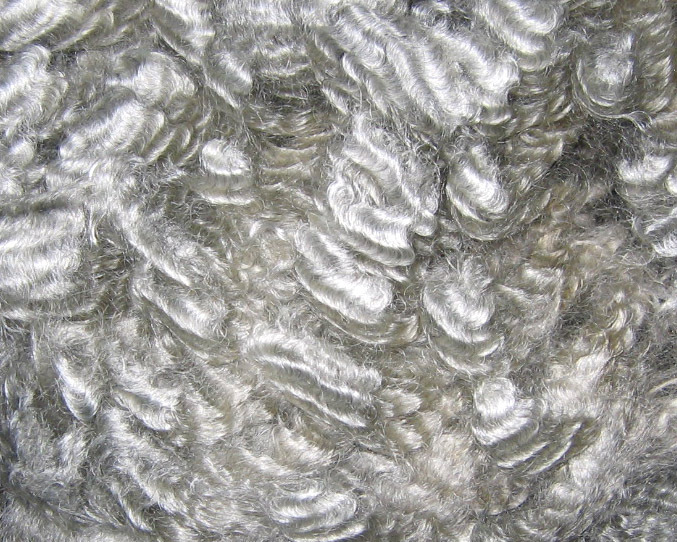 For example, the spectacular silver Lincoln fleece (above) would no longer be available were it not for breeders preserving remnants of historic breeds for hand spinners. 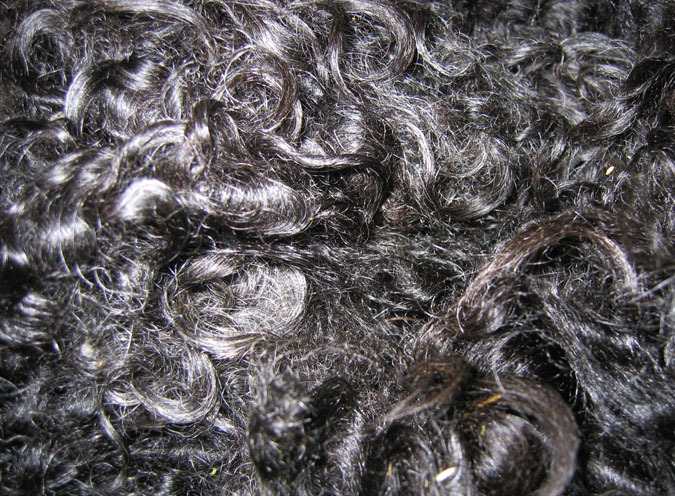 Since mills only use source materials of standardized qualities, those economic pressures have resulted in the almost complete disappearance of sheep bearing any wool that was not entirely pure white and of medium physical qualities. 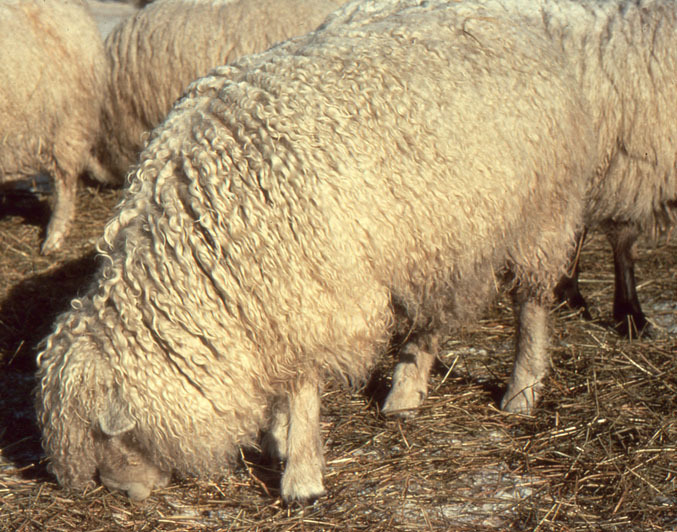 For those same reasons, long lustrous wools like this silver Lincoln have largely disappeared from modern flocks. 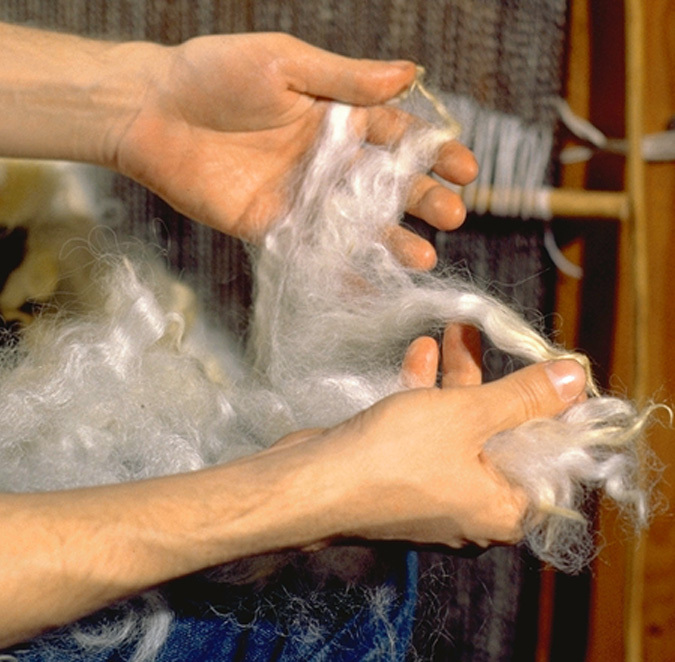 Thus hand spinning is not only preserving the unique qualities of these very special wools, it is also supporting a market that is helping to save these rare breeds from extinction. These locks of white Lincoln are approximately 8 inches long and show their prized reflective qualities. 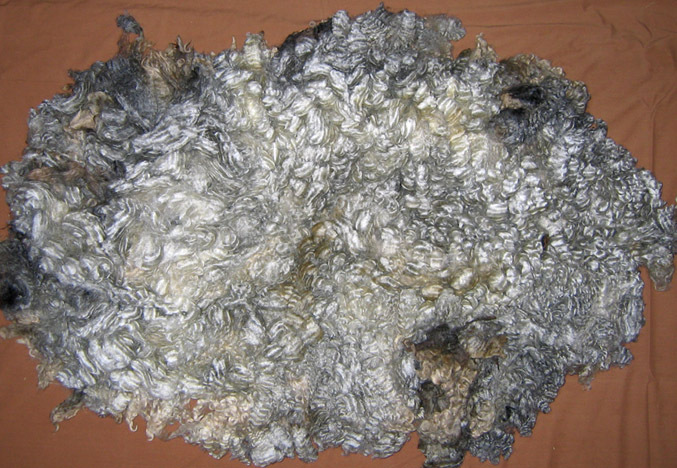 In Great Britain the Lincoln Long wool sheep is already on the Priority List of the Rare Breeds Survival Trust. This newly shorn black Lincoln fleece is so lustrous and reflective that much of it does not appear to be dark black. 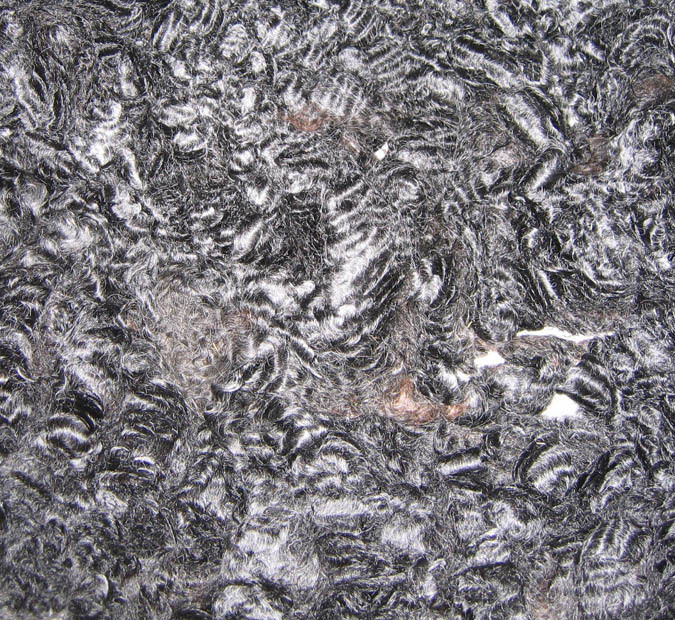 But it is all black and the luster is unsurpassed. 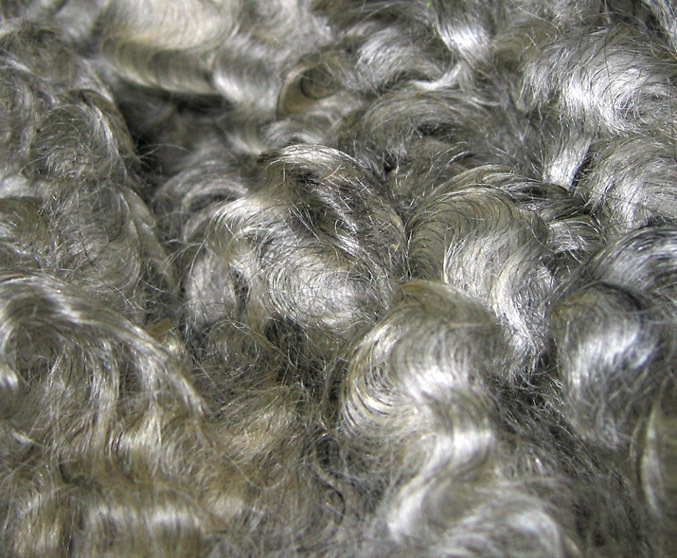 This light silver Lincoln fleece has a wide range of rich shades. This lively glow animates the finished woven piece, making it appear very different as the viewing angle and light change. This prized luster makes it tricky to capture the entire spirit of the finished woven pieces in photographs.